This is not, repeat not, the One Tun where Science Fiction fans used to meet for their monthly pissup, er, learned discussion. That was in Farringdon. However. it has proper beer and apparently good burgers. I had some Truman Lazarus. It did not come forth later for which relief much thanks. 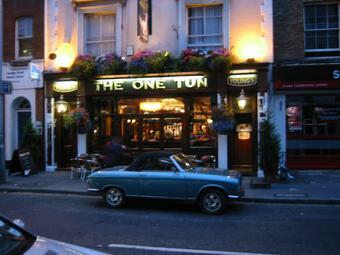 Was in this pub last Saturday evening. On the face of it, a good selection of ales but all had run out by the end of the evening, despite the pub not being overly full. Within 15 minutes of calling last orders and serving our last pints, the bar manager had slapped a couple of plastic cups on our table to encourage us to get out, then started ostentatiously swabbing down the nearby tables with disinfectant. I understand that pubs need to close within a certain time, but is it really necessary to make your paying customers feel quite so unwelcome ? Surely a little charm is a requirement in this line of business, but sadly absent in this place. Won't be going here again. Who is Grooge? Grudge? Stooge? It's on the tube. Worth popping one 's hesd overground once in a while to find this. You'd have to dig deeper, but, you're on the Northern line so it probably isn't possible. 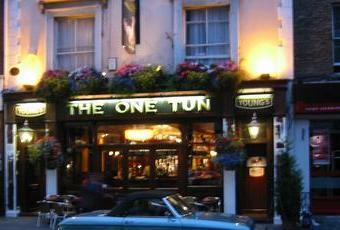 Other pubs involve tunneling sideways, or chance it, a risky journey overground. Probably one best taken in daylight hours, with them badgers around. Which brings me to the beer which is why we are here. But why are we here?Convenience? The path of least reistance? Entropy squaRED divided by pi, the radius of one's commute. Intesting questions, but none that I feel empowered to complete. Back to the pub itself, it has walls, seels beer, I know Londoners are picky but reaallly. Park your barrows and Austins outside, come in, talkcockney, settlte down. Jellied eels? You don't really like them anyway. The atmosphere isn't great, but the burgers are. They have a good choice of ales and a split feed for Sky Sports. 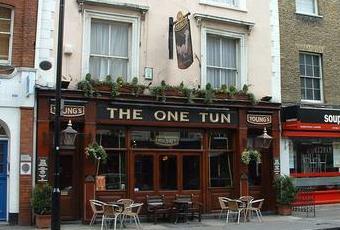 Pleasant if a bit bland and a touch gloomy Young's pub featuring their standard range of beers. Nice to see darts is on the go.